social network analysis after data mining articles archived of these events. I want to find out more information about the individuals that were involved in these campaigns. Figure 1: Geocoded elements of some Abu Sayyaf terrorist attacks in the Philippines ranging from 1994-2014 in QGIS. What: What you’re viewing are a few of the 7,000+ islands of the Philippines in their southern region, along with geocoded locations of Abu Sayyaf terrorist attacks by x- and y- coordinates listed from the Global Terrorism Database. These locations will not remain simple points, but are starting indicators of Figure 2 listed below. I am storing the dates in which they occur for a later stage in Part 1 of my project in case there are correlations between seasonal attacks, and/or patterns over the years. 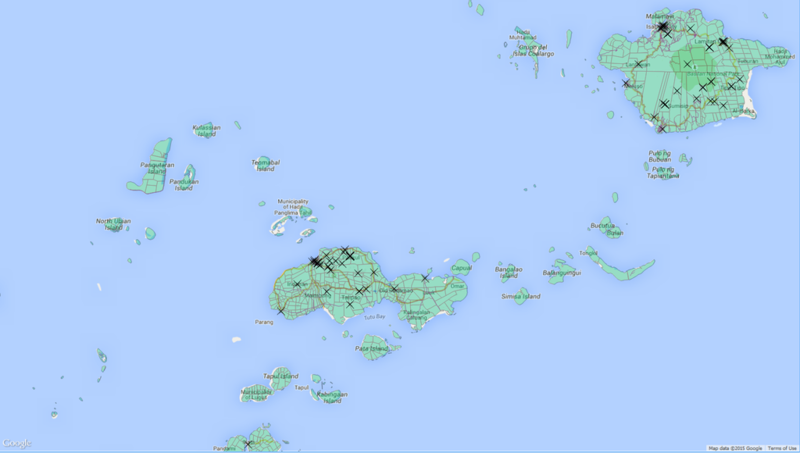 Software Used: QGIS has an OpenLayers plugin and you are viewing the Philippines in Google OpenStreetMap. Also in the picture, streets and municipality shapefiles are open on the screen. I plan to work more with this once I can focus on specific clusters of incidents. 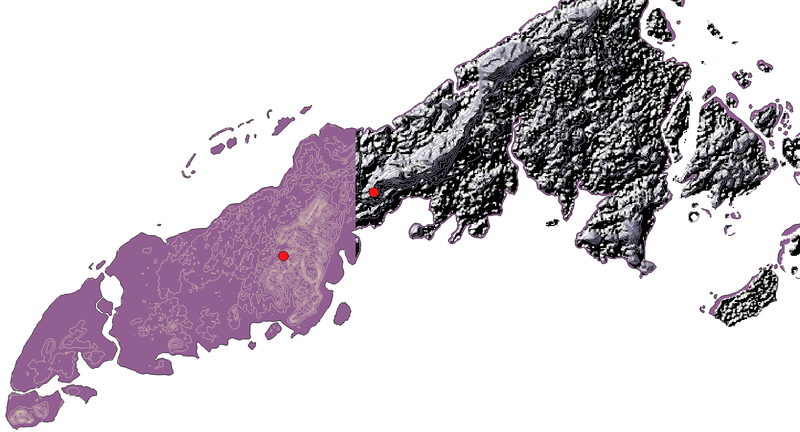 Figure 2: You’re looking at an example of the contour lines I formed from Philippines’ DEM data for an island called Panglima-Sugala; also where two Abu Sayyaf attacks occurred. What: I grabbed digital elevation model (DEM) data from the CGIAR-CSI website which is SRTM (NASA Shuttle Radar Topography Mission) data, and then will create contour lines to show elevation. This is currently what I am working on, and have exemplified the difference between contour lines and a hillshade effect from DEM for visual purposes and the content will be edited in upcoming steps of the project. I am also exploring other raster datasets that use a different type of sensor. As I move forward, I’ll be able to determine which dataset is the most effective at achieving the end goal. Software: I have been working back and forth with QGIS and ArcGIS for this terrain. I plan to make progress by finishing the building of the contour lines, as well as look for patterns among the attacks listed by the Global Terrorism Database. Jarvis A., H.I. Reuter, A. Nelson, E. Guevara. (2008). SRTM 90m Digital Elevation Database v4.1. (2008). Retrieved from CGIAR-CSI SRTM 90m Database http://srtm.csi.cgiar.org. Database 1992-2010 Dataset (June 2015). Retrieved from http://www.start.umd.edu/gtd. Database 2011-2014 Dataset (June 2015). Retrieved from http://www.start.umd.edu/gtd. Tongco, A. F. Philippine GIS Data Clearinghouse (PhilGIS). Country Boundary (2013). Studies in Political Economy. Ithaca, NY: Cornell University Press, 2009. I.T. Hapilon and R. Sahiron. There will be plenty of limitations based on the data that I use. As of September 17, 2015, I am only using one data source until I can find more and/or credible databases eligible for use, or gather enough information to add to the map. The Global Terrorism Database (GTD) remains the only credible source of information that I’m using to map the locations of these attacks. The cons of the shapefiles and DEM data that I am using is that they are outdated by a few years. I am on the quest for updated and free data files that I can use for my project, however, it is not exactly my top priority until I analyze the importance of the terrorist campaigns.